Introduce your preschoolers to the USA with this America Preschool Theme, including a free printable USA map, American flag, American food, crafts, story books and more. Introduce your children to countries, people and cultures from around the world. 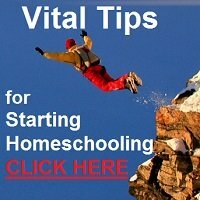 This is a list of lesson plans for each country, which include activities, crafts, recipes, coloring pages, story books and more. Before you embark on your 'armchair' journey around the globe, introduce your children to 'the world' using these easy tips. Locate the United States of America on a map of the world or a globe. Let your children colour in the printable map of the USA that you can download. Let them stick a star or dot sticker on the map to mark Washington DC, the capital city. 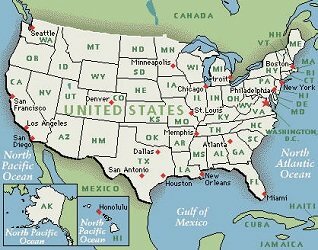 If you live in the USA, then help your child identify the state and city where you live too on the map outline provided. The national flag of the United States of America is also known as the Stars and Stripes, Old Glory or The Star Spangled Banner, which is also the name of the national anthem. It consists of 13 horizontal stripes of red and white with a blue rectangle bearing 50 white stars, which represent the 50 states in the union. The 13 stripes represent the 13 colonies that were the first states in the Union. Download the free printable flag of the USA and let your children color it. The Statue of Liberty is one of the most recognizable symbols of the United States in the world. 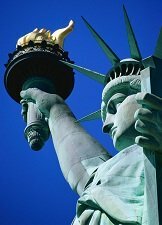 For many visitors travelling by sea in days gone by, the statue located on Liberty Island, in New York harbor, was their first glimpse of America. The statue is 151 ft (46 m) tall, but with the pedestal and foundation, it is 305 ft (93 m) tall. The statue symbolizes liberty and democracy. There are plenty of free printable coloring pages of the Statue of Liberty online. Click on the image below to download the free printable coloring page, provided by www.letmecolor.com. 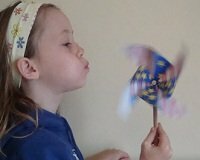 Make a patriotic pinwheel and also demonstrate the effect of moving air on sails. 1. Trim the piece of paper or card until it is a square, with sides equal to the width of the page. 2. Color one side blue and stick white star stickers on it. Color the other side in alternating red and white stripes. 3. 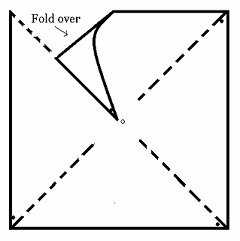 Fold the square in half diagonally, each way, so that you have two diagonal folds which cross in the centre of the page. 4. Cut along the folds, but stop at least 3cm / 1,5 inches from the centre, as shown by the dotted lines in the diagram. The page should now look like 4 triangles joined at the centre. 5. Take one corner of each triangle and fold it over until the point is on the centre of the square. Each corner should overlap the one underneath slightly. 6. Now prick the pin through all four points and through the centre of the page and stick it into the blunt end of a pencil. 7. Wave it in the air or blow on it, to get the sails to rotate. Loosen the pin slightly if necessary to allow the sails to turn more freely. Hamburgers are one of the few 'American' foods that actually originated in the USA and are not adapted from somewhere else. Apple pie is another well-known American favourite. 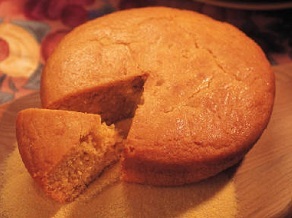 In the southern United States, cornbread is often served in place of rolls or bread and is very typical of that region. Corn is indigenous to the American continent; Native Americans planted "the three sisters" - corn, beans, and squash - together because the three plants complement each other nutritionally and agriculturally. Combine all ingredients and blend into a smooth batter. Turn into a well-greased 8-inch pan. Bake at 425'F for 20 to 25 minutes or until golden brown. Cool. Cut into squares and serve with butter. What countries have your kids studied? See what others have shared, comment and get ideas here! 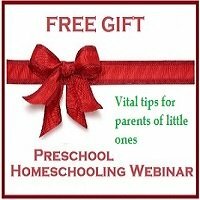 Upload a photo and share your kids' around the world preschool themes too!